Using the finest materials yet and the latest technology, MXT is proud to present the pinnacle in Male Pleasure Technology, the FLIP ZERO by TENGA. 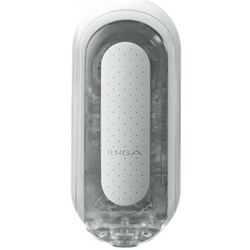 TENGA has taken its unique FLIP Series to new heights of pleasure. A seamless insertion point provides the perfect seal for no lubricant leakage and a strong vacuum made possible by a one-way valve. The FLIP Zero features the most intricate internal details yet for great sensation, and the pioneering flip-open function keeps the item hygienic for repeated use.